Fashion Week continues across the Atlantic! Fashion Week continues across the Atlantic, over in London. Unlike Milan and Paris (coming soon), London is known for eccentricities and theatrics during the shows. 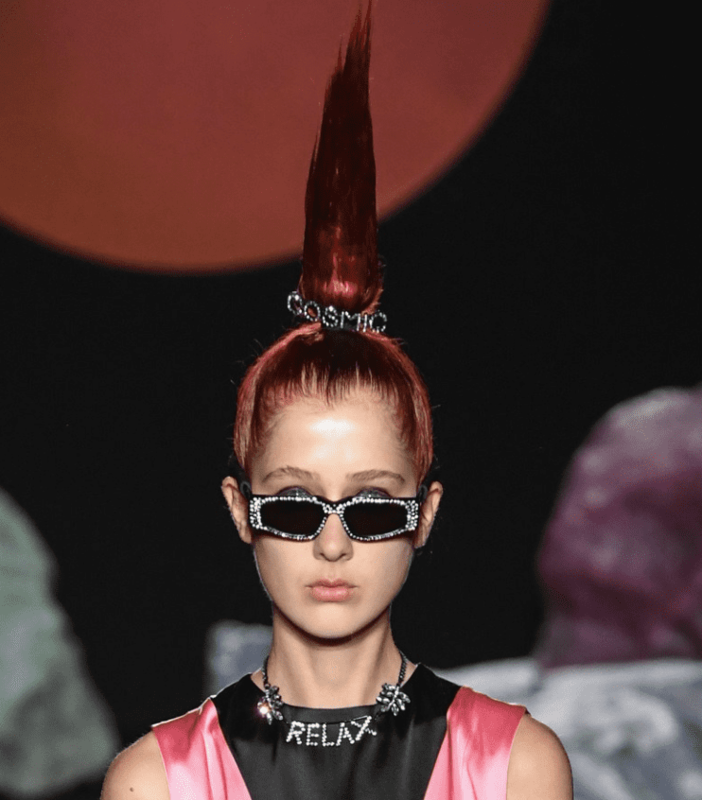 This post is about the hair trends we saw on the runways of the edgy English city. Some of these trends originated in New York and are so popular that they have become international. Others styles were clearly part of the underground London aesthetic. 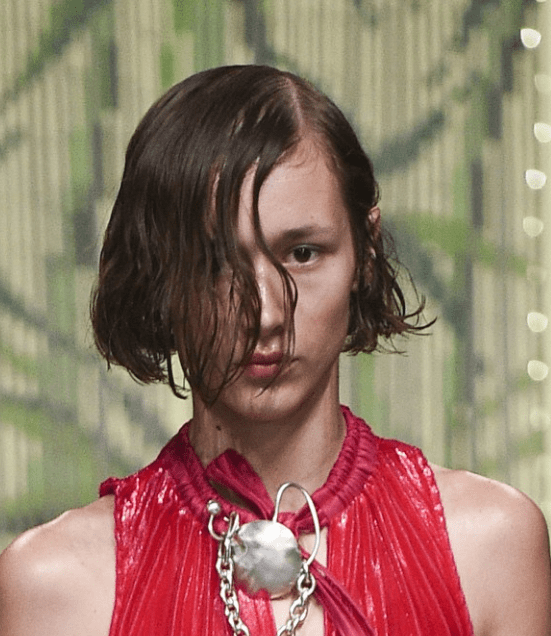 Just like New York, the wet hair trend continued to dominant the runways of London. Richard Malone, House of Holland, VIctoria Beckham, and Ashish were some of the designers who loved the watery vibes. 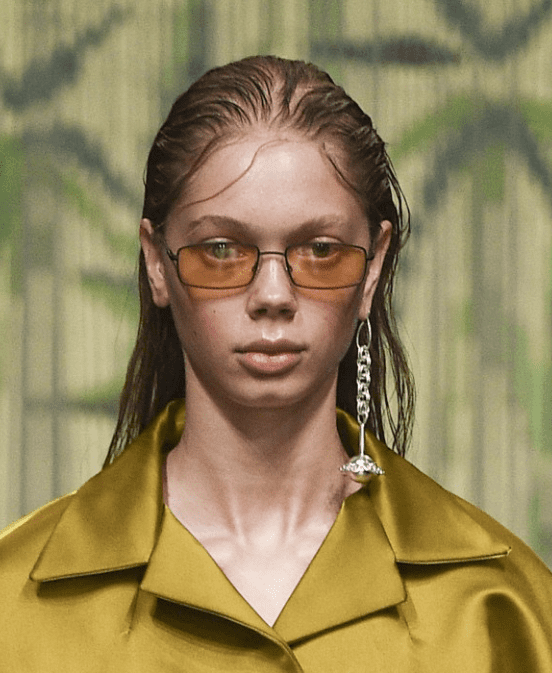 The Victoria Beckham girls walked down the runway with slicked-back, wet hair with comb marks clearly front and center. At Ashish, models were made to look like they were out dancing all night. Famed stylist, Sam McKnight, sprayed their hair with water so that the models looked damp, sweaty maybe, but not soaked. He finished with mouse and L’Oreal Art Glue to complete the drenched look. Richard Malone’s models had unfinished wet tousled hair as if they were running around all day, or even just coming out of the gym. This unfinished look was carefully and meticulously created by dampening the hair, then adding mouse and then some shine spray and shine drops. While the Americans were more beachy wet, it seems like the Brits were a little more eccentric but realistic with their sweaty, wet hair. Streetwear versions of lady-like hair was also beautifully represented. 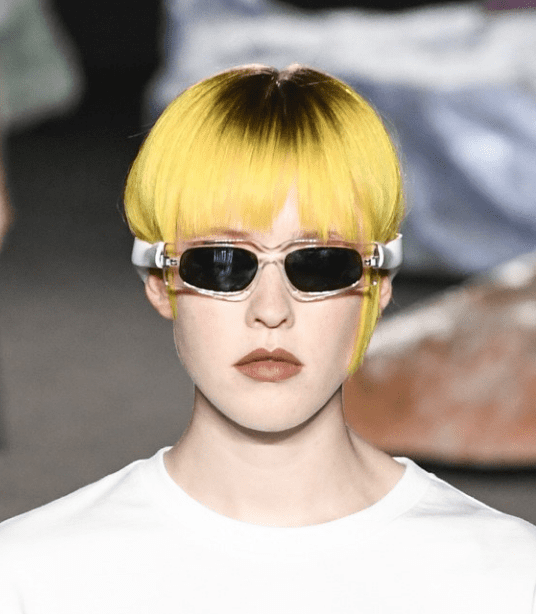 We saw fun versions of your mom’s hair at Simone Rocha, Molly Goddard, and Mary Katrantzou to name a few. 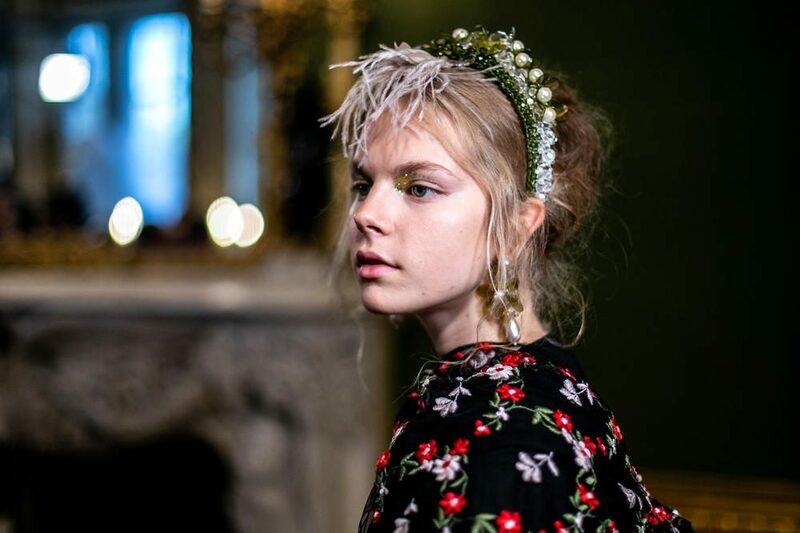 At Simone Rocha, the designer described the models “being like an angsty teen dressed in her Sunday best, but in her mother’s clothes.” Hairstylist James Pecis backcombed the hair for extra height, and then curled into a single or double roll. Bangs were pristinely disheveled, and the hair was finished with elaborate headbands of florals, pearls, and rhinestones. 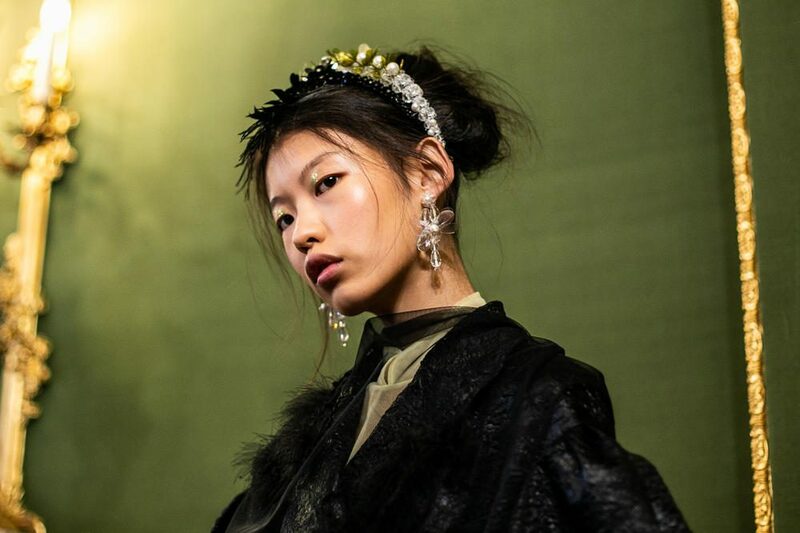 Mary Katrantzou’s stylist stated “We’re channeling ‘Little House on the Prairie’ but with contrasting textures.” Low ponytails were pulled over the ears, and finished with a hazy mohawk and loose stray wisps of hair. London represents self expression. It’s counterculture. It’s the birth place of punk rebellion. They say inspiration and the best art comes from the worst of times. If that’s truly the case, we should be on our way to a new renaissance. In that spirit, as we look forward to Milan and Paris, let’s offer a hopeful, new mantra when it comes to fashion: Don’t get stuck in a rut, let your self expression free.